Looking for server less computing to revolutionize application development, then Azure functions is the answer. Developed by Microsoft, Azure is the latest technology that provides the benefits of a more responsible, data focused and agile infrastructure. Azure makes sure that the entire development team is not only focused on the time consuming process of server maintenance but also on the study of the features that matters the most to its users. This new cloud computing service created by Microsoft is used extensively for building, creating and deploying applications through a global network of data centers managed by Microsoft. It ensures spending less on deploying ,building applications and on computing server technology. The technology has been widely accepted by clients all over the world in order to proliferate and aggrandize business. Also it has helped the developer team to work efficiently for instilling the most updated and the latest features demanded by the clients . This helps in meeting the client needs which would act as a catalyst in aggravating the business. With this new serverless technology the developers now can work single mind for creating apps that are user friendly and offer almost all the vital services asked by the clients rather spending more time on the process of server maintenance thus increasing efficacy and productivity both. Microsoft developed Azure provides software as a service to its users for making the app interface simple and user friendly. 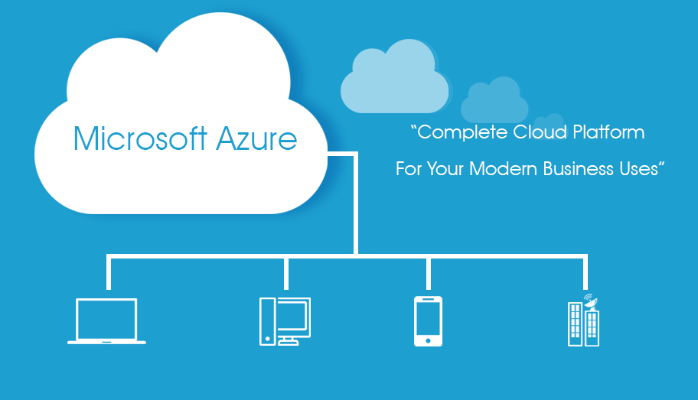 There are many new features that have been instilled in the newly introduced Microsoft Azure. The availability of infrastructure for the storage and management are the additional features that prove to be a blessing in disguise for the developers. With the proliferation of cloud computing, its now becoming easier than ever to create small targeted micro service architecture using a variety of services demanded by the clients. The technology delivers services that help its users to achieve low-friction, high-throughput and low-cost solutions to its users in order to meet the business targets successfully and that too in very less time. The occurrence of the cloud computing technology is the advent of the process of automation that would automate time consuming, error-prone and frequently repeated tasks that are commonly performed in a cloud. For those who not only wish to sustain but to excel their competitors. Microsoft Azure is a pleasant endowment. It has completely revolutionized the world of app development. The availability of infrastructure for the storage and management are the additional features that prove to be a boon for the developers. Choosing Azure as the cloud provider is one step to change this dream into reality. The azure functions saves time and increases the reliability of regular administrative tasks and even schedules them to be performed automatically at regular intervals as per guided instructions. Previous Previous post: Accelerated Mobile Pages : A New Approach to Web Performance.